Our revolutionary MX200 and MX400 changed everything. The great sound of a hardware Lexicon reverb - plus the ability to put that power to work as part of your DAW workflow via PC VST and Mac AU plug-ins (32-bit only). Now we’ve packed a significant portion of the MX400’s feature set into the ultra-affordable MX300. All parameters of every reverb, delay and dynamic effect in this powerhouse processor are available inside any PC VST or Macintosh AU compatible DAW program. Just link your computer to the MX300 with a USB cable and control automation and recall parameters exactly as you would with any software plug-in. 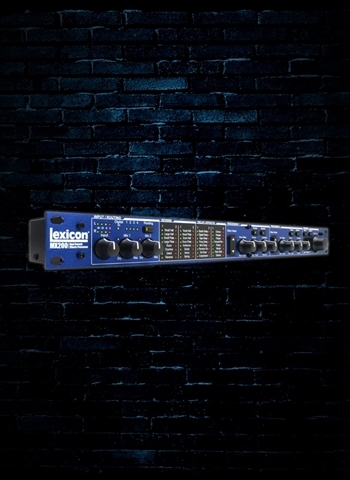 You get the sonic benefits only Lexicon hardware can provide...without bogging down your computer’s CPU with the extreme demands of reverb plug-ins. Along with our unique “hardware plug-ins” for PC and Mac, we’ve also included MX-Edit Librarian software so you can store and recall custom programs or pull up an unlimited number of Lexicon settings. 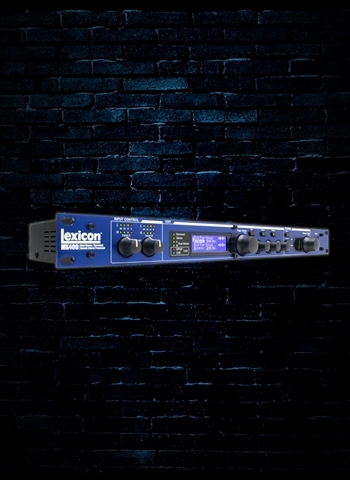 We designed the MX300 to be ultra-easy-to use in demanding live sound situations. Once a program has been selected, you have instant access to three parameter knobs - instead of having to page through extra menus. You can program a whole night of presets, and dial them up quickly with the dedicated program select knob and bright LED display. Like every product that Lexicon makes, the MX300 is designed to withstand years of jarring, jostling, load-ins, load-outs, brownouts and power surges. It’s simply the most live reverb ever offered at this price.